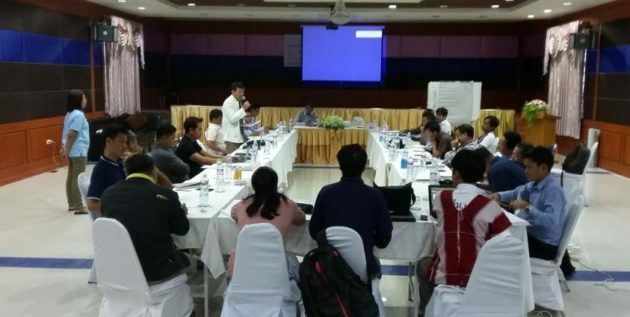 During its 26th editors’ meeting held at the Thai-Burma border from August 28 to 30, Burma News International (BNI), an alliance of ethnic media groups announced that it has opened the path for new members by amending the membership criteria and is striving to expand ethnic media development. “We only allowed ethnic-based media organizations as members in the past, but now we have amended the membership criteria by including regional-based media organizations with the aim to open the path for new members,” said Nan Paw Gay, chair of the BNI’s Policy Affairs Committee. During the 26th plenary meeting, the editors of the BNI members discussed and set down decisions on the emergence of ethnic media policies in Myanmar, emergence of an ethnic media training school, and convening the annual ethnic media conference with more essence. A total of 20 people including respective editors from 13 BNI members and an editor from each media organization that has applied for membership attended the three-day meeting. The three-day meeting covered the submission of reports, amendment of the organization affairs, election of the three chairs for the three leading committees, and discussion on covering more peace-related news in ethnic media by BNI member organizations. “Our ethnic media is a group that has been raising awareness on news relating to social lives, which are out of reach of outside media, via the public and the international. That’s why our ethnic media is very important. That’s why there is a need for the emergence of many ethnic media,” said J Sangtea, chief editor of Khonumthung News. BNI has decided to expand the ethnic-based TV broadcasting programs in line with the changing situation. Established with ethnic-based media organizations and regional-based media organizations, BNI has been providing news and carrying out media development tasks in ethnic areas. Development Media Group (DMG) has been accepted as a new member during the 26th editors’ plenary meeting. BNI has been established in 2003 and its current members are Kachin News Group (KNG), Karen Information Center (KIC), Kantarawaddy Times, Khonumthung News, Shan Herald, Narinjara News, Independent Mon News Agency (MNA), Shwe Hinthar Media, Network Media Group (NMG), Kaladan Press, Mizzima, Than Lwin Times, Hinthar Media, and Development Media Group (DMG).